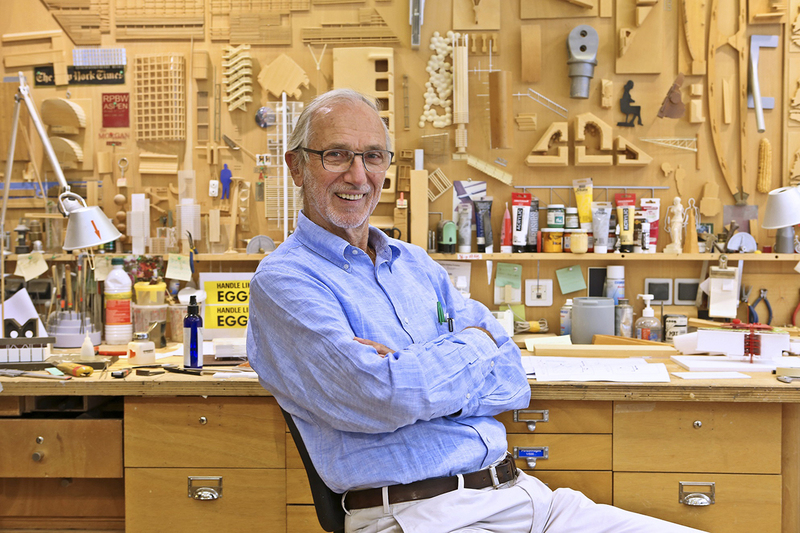 Renzo Piano Building Workshop has officially completed the much-anticipated Krause Gateway Center in downtown Des Moines, Iowa. As the new headquarters for Midwestern convenience store chain Kum & Go, the six-story building features an open and transparent design that resembles a glass pagoda. RPBW designed the 160,000-square-foot structure in collaboration with Iowa-based firm OPN Architects. Construction wrapped up late last year on the project site, situated on the north end of the city’s famous Pappajohn Sculpture Park. Thanks to its floor-to-ceiling glass facade, the Krause Gateway Center provides 360-degree views of the city and the art garden below, while housing offices for 800 Kum & Go and Krause Group employees. 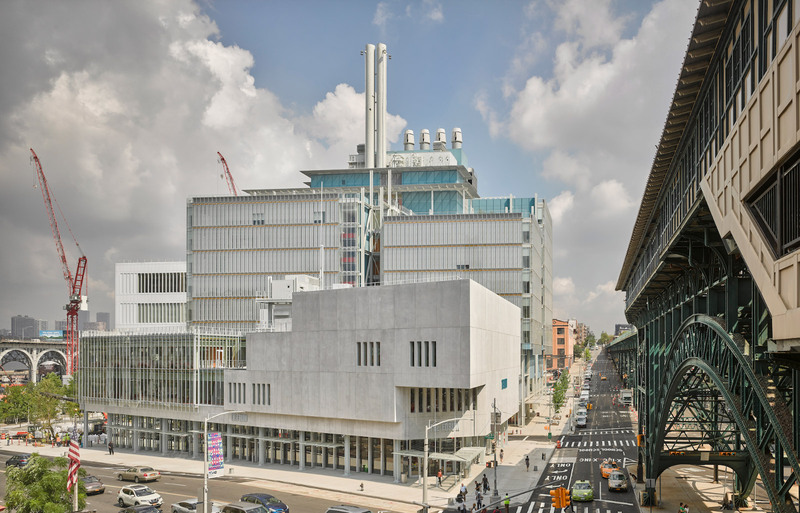 It also includes a two-story underground parking garage, a fitness center, large meeting rooms, and a dedicated art space. 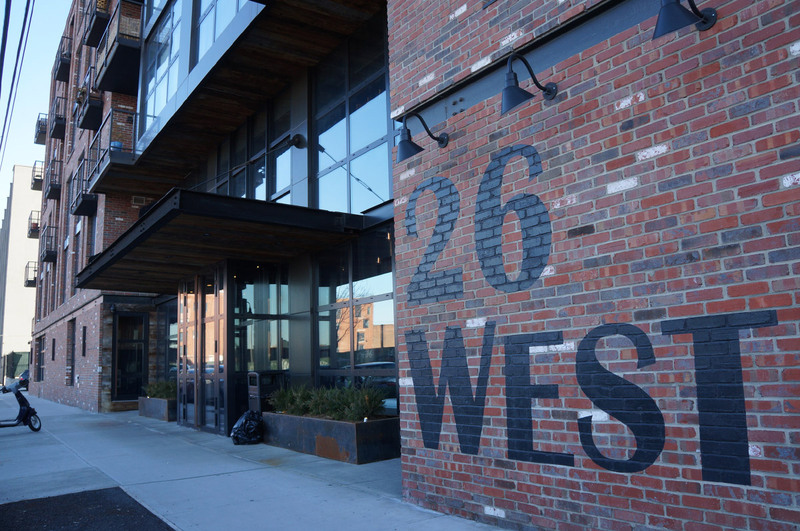 The focal point of the modern design is its sun-soaked interior lobby, created with a warm and welcoming atmosphere for visitors and workers alike. 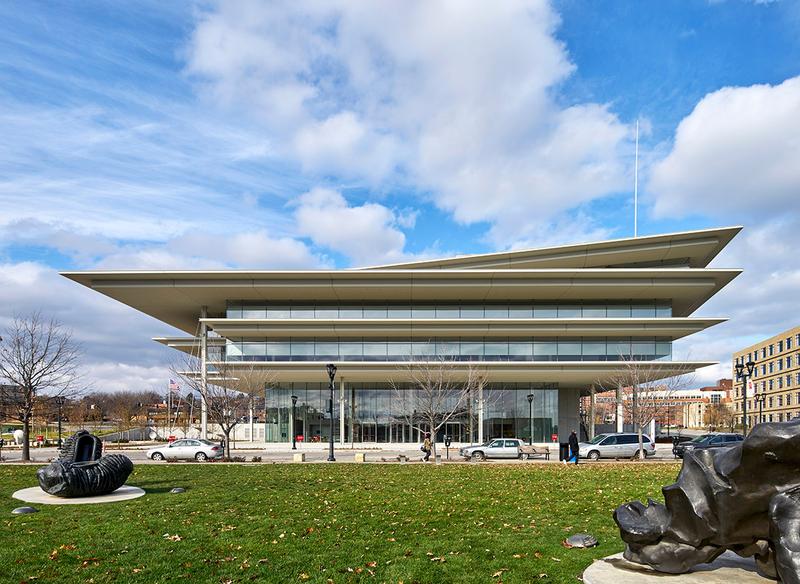 Sustainability, accessibility, and engagement with art are key elements of the Krause Gateway Center's overall design. 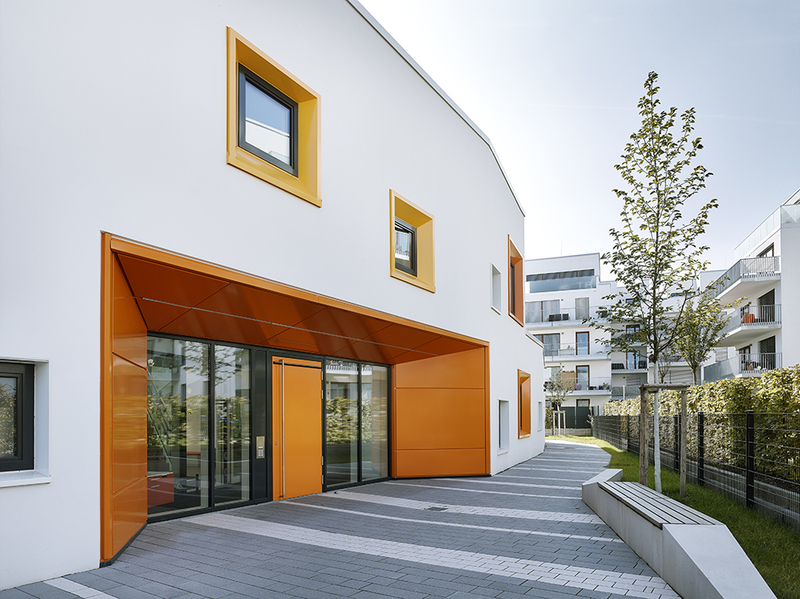 The curtain wall exterior allows ample daylight into the office space while the elongated overhangs that divide the floors shade the interior and control temperature. An outdoor terrace and a green roof populated with sculptures offer breathing spaces for employees to access during the day. 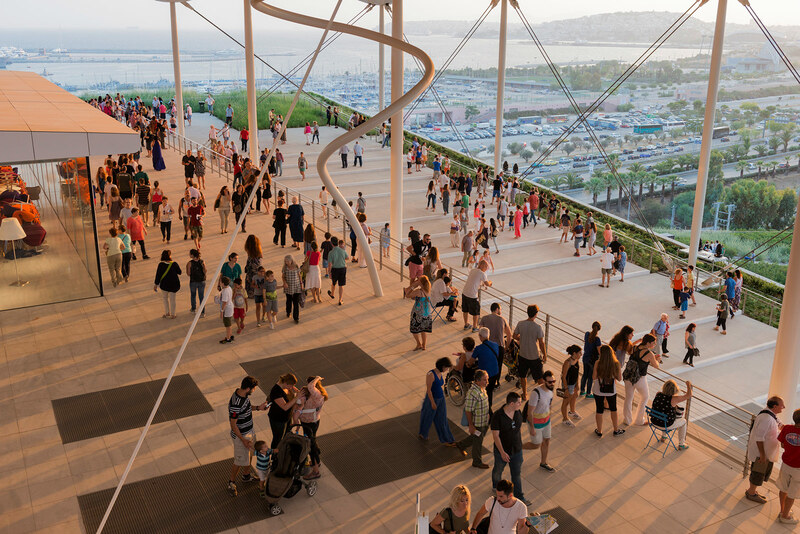 In addition to the unique, people-centric design, the building takes up just 25 percent of the project site, where over 100 trees and various landscape furniture dot the landscape for further public use. In the near future, RPBW will build out a café for the building’s Grand Avenue lobby entrance along with exterior seating. 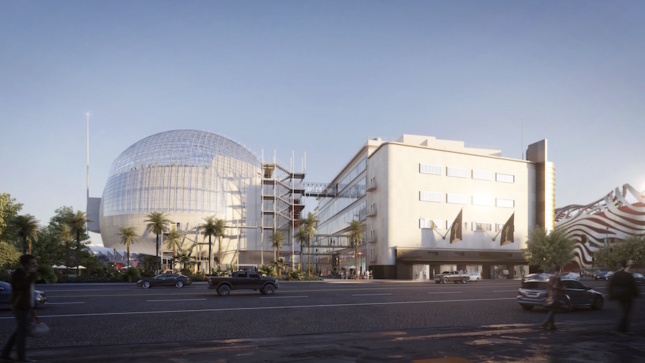 This morning, the Academy Museum of Motion Pictures released new renderings by the Renzo Piano Building Workshop for its proposed museum space in Miracle Mile, Los Angeles. The design for the complex extends out of the historic May Company Building on Wilshire Boulevard into an adjacent, 140-foot-tall orb. The top section of the globe will be an open terrace and project space housed under a huge arcing glass dome, and the bottom section will be a crimson-walled, steel-encased theater. This theater will feature a state-of-the-art projection facility able to screen 35mm, 70mm, and nitrate prints for an audience of up to one thousand people. 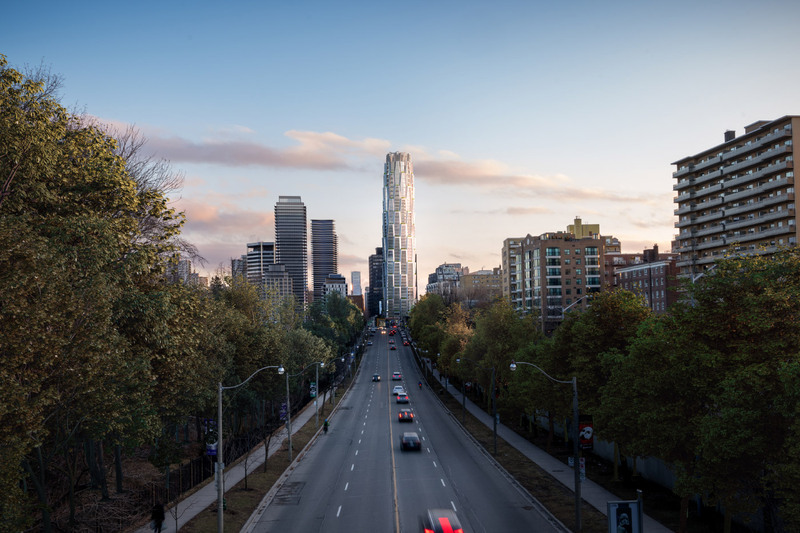 All told, the project will cost $388 million to build. The May Company Building, a 1939 structure that epitomizes the Streamline Moderne style, will be home to three stories of exhibition space (two permanent, one temporary). One of these spaces will be an entire floor dedicated to the "Oscars Experience," an exhibit commemorating the annual film ceremony for which the organization is best known. The building was previously home to a satellite space for the Los Angeles Museum of Contemporary Art, once referred to as "LACMA West," but the Academy inked a long-term lease on the structure and an adjacent parcel in 2014 for $36.1 million. The new renderings show that most of the iconic features of the building will be preserved, including the giant golden cylinder at its Wilshire Boulevard entrance. An additional, smaller theater and a flexible education space will be constructed underground between the older building and Piano's orb. 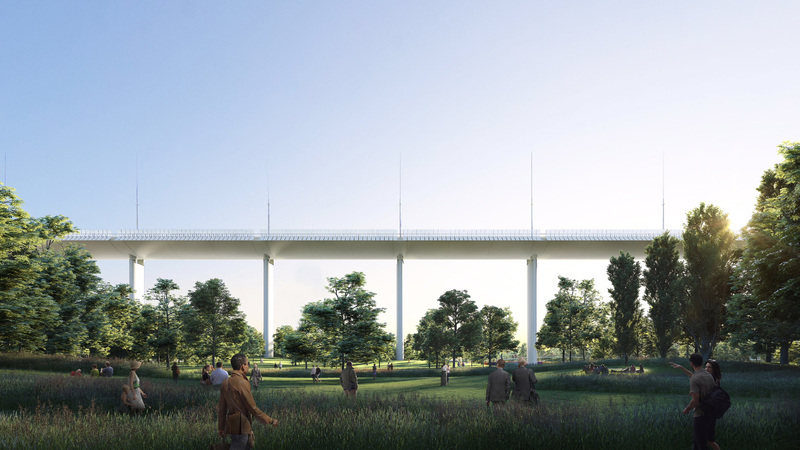 The two above-ground structures will be connected on three levels by glass-encased catwalks. 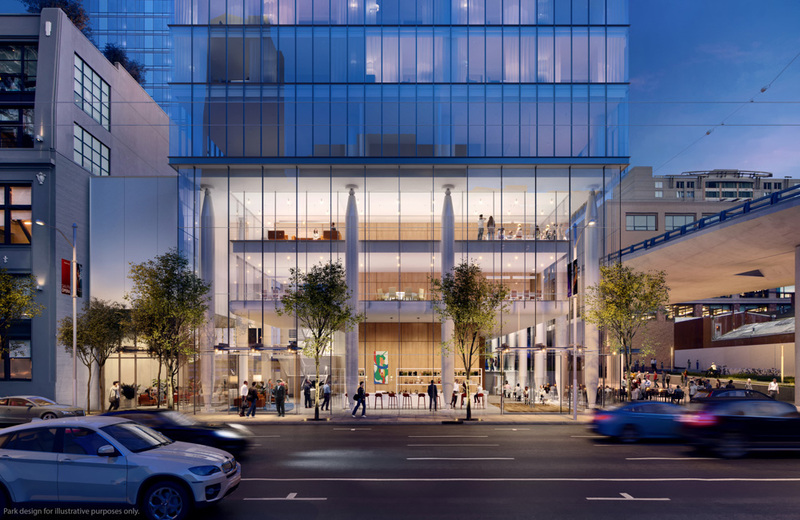 An outdoor seating area will also be build at the ground level of the orb, extending into the central lobby area of the May Company Building. As Kerry Brougher, director of the Academy, told Architectural Record, the museum was designed primarily from a filmmaker's perspective. “I think the fact that the Academy is part of the project makes it take on a different characterization than it might if it were a film museum in Milan or Paris," he said. With completion projected for 2019, the Academy Museum hopes to join the ranks of other movie museums around here and abroad, from the National Cinema Museum in Turin, Italy, to the controversial Lucas Museum, or New York's own Museum of the Moving Image, which Leeser Architecture revamped in 2011. The incredible challenges inherent in today’s mega-architectural undertakings triggered my interest in just how such projects are built. 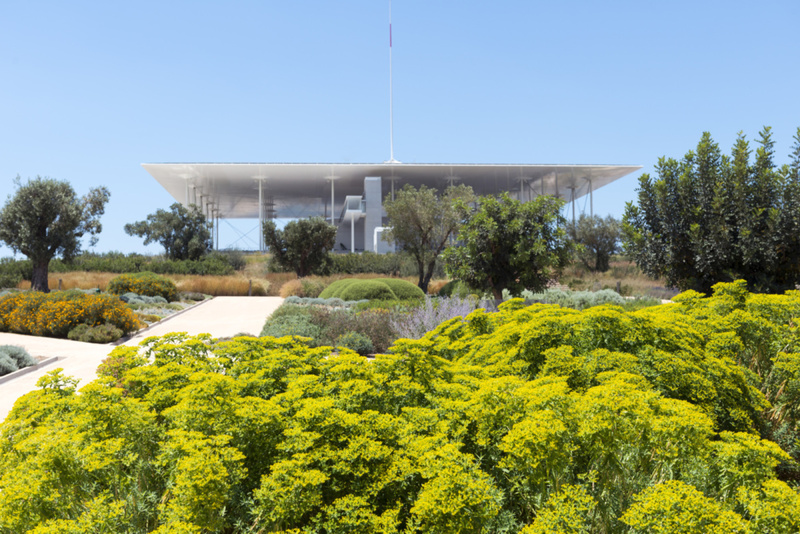 More than four years ago I began to track the design, construction, and completion of one of the most ambitious of these, the Stavros Niarchos Foundation Cultural Center (SNFCC) in Athens. 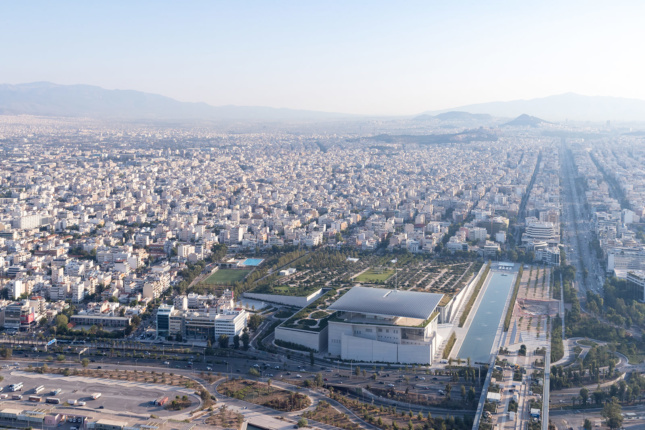 I could not have anticipated in those early days how the global economic crisis and subsequent political upheaval in Greece would affect the story of the $842 million building complex and 40-acre park. Even under these circumstances, the building was completed on time and on budget and is already inundated with visitors, both local and foreign; the new national opera house and national library will open officially this fall. 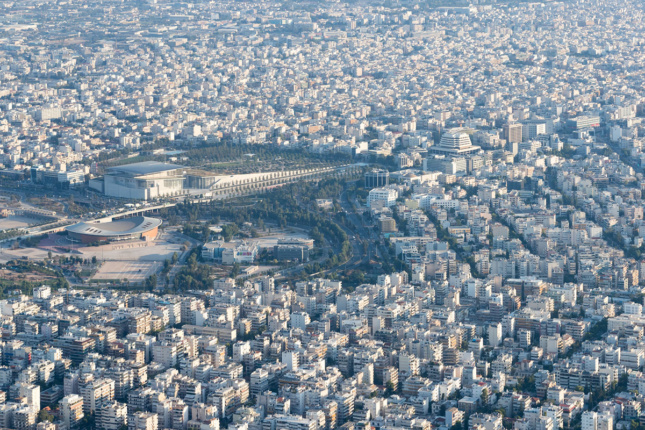 Almost as soon as I started to research the SNFCC, I was struck by the number of people, companies, and even cultures involved, the largest team I’ve ever seen on a cultural project. 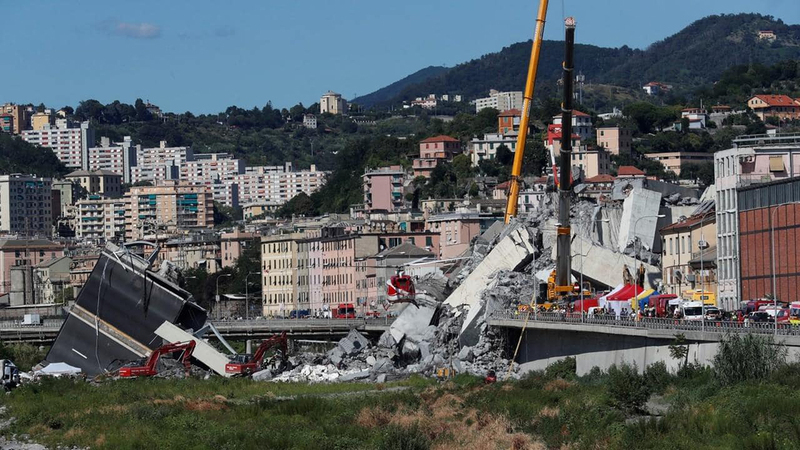 Project meetings were a veritable Tower of Babel, with Greek (construction workers) and Italian (the RPBW architects and one of the joint-venture contractors) foremost, and a good deal of English thrown in (many of the special consultants). Most of the time the group worked harmoniously. There were a few disagreements at the outset, but the site remained markedly congenial throughout the five years of construction.